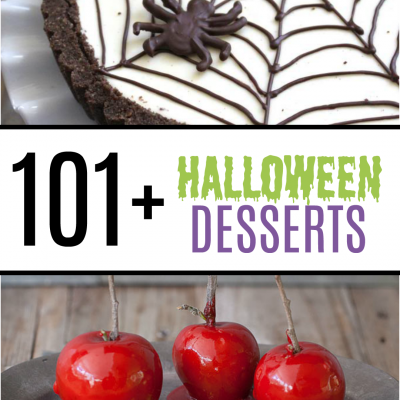 More than 101+ Spooktacular Halloween Desserts perfect for Halloween including a Frankenstein Cake, Spider Web Tart, and Candy Apples. DON’T MISS MY FAVORITE HALLOWEEN RECIPES ON FACEBOOK! Most of these recipes are not mine. I have scoured internet to find the SPOOKIEST 101+ Spooktacular Treats to share with you, and I have provided links to the recipes. CHECK OUT MY EASY PUMPKIN PATCH DONUTS!